I have always had good intentions of developing an organized food storage plan. But....it just never seemed to happen. Even though we are working on producing a lot of our own food, there will always be many things that we lack the room or climate to grow. WeeHavyn is more suitable for livestock products such as eggs, meat, and dairy. We are working on a perennial garden and have the Garden Barrels and GunniGardens for annual vegetables and potatoes, but there is simply no room for bulk crops such as grain or beans. I consider myself an optimist. While I definitely see changes happening in the next few years, I think they will ultimately be changes for the better. Yet I know that some of these things may be painful for the unprepared. I'm not "prepping" for the end of the world. I dislike that word as it tends to have an "every man for himself" connotation, a sure recipe for disaster. Rather, I am cushioning us from shocks or sudden changes. I have great faith that we posses the good sense and skills to overcome most any trouble, but it would be nice not to have to shop amid the panic of an ice storm threatening or something else unexpected. 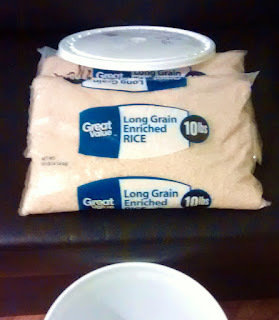 With this in mind, I've decided to become systematic about our food storage. 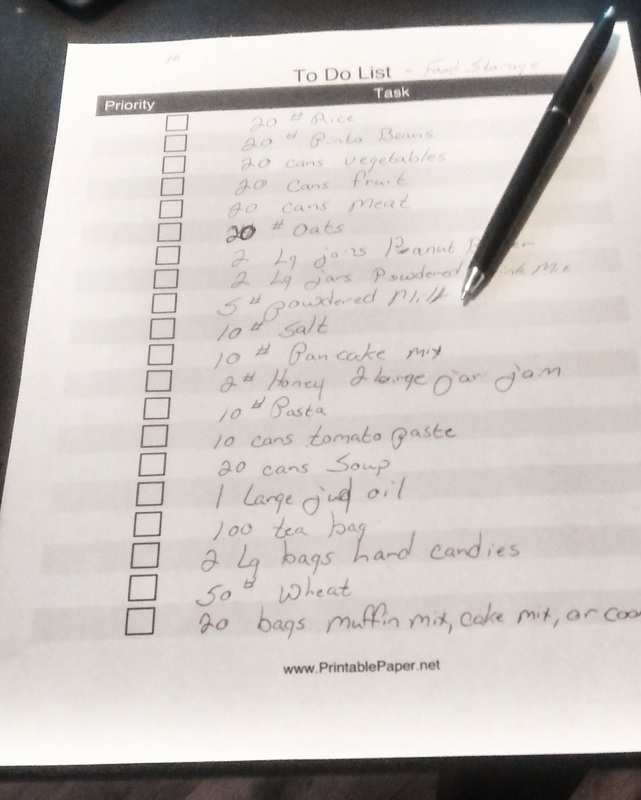 I've created a checklist based on this article: 20 Items to Kick Start Your Food Storage Plan. I found the article sensible and easy to follow. I believe I will end up spending an average of $20 per week on this plan, for a total of about $400. Each week I will highlight what I purchased for the plan and how much I spent. By the end of 20 weeks I should have a respectable food storage program and a grand total of what it costs. Do you have a food storage plan? Why or why not?